With Instagram stories being the new thing I realised gone where the days I talked in depth about those things I love. Those flavour of the month tools and products which brighten my day. Sometimes they are silly, like right now I am digging my laundry detergent but let's be real you don’t want to hear about that! I also realised that sometimes the products I am loving are not the new kids on the block. I am coming back to those tried and true faves and as a blogger I should share these babies too. In this case it’s a product which I have had in my handbag, and used almost daily since I got it. That product is Foxxglow Perfume Oils, and in particular Addict, a scent inspired by Yves Saint Laurent. There is so much I love about Foxxglow Perfume Oils, and the Foxxglow brand I just don’t know where to start. The perfume oils are 100% uncut, pure and skin-safe. They are vegan-friendly, cruelty-free, alcohol-free, contain no additives, no GMO’s, no phthalates and no parabens. They are hella affordable at $24.95 and smell Crazy good. 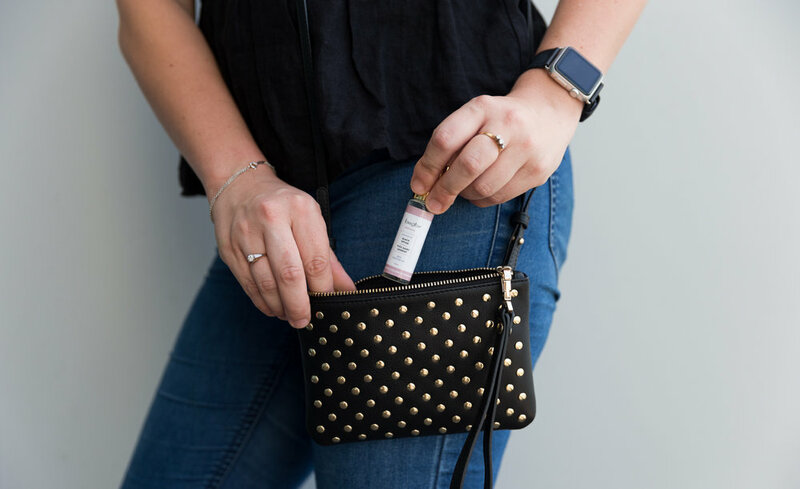 For me, it’s something which lives in my handbag, I'm not stressed about losing my pricy perfume and the roller ball packaging makes it ideal for when on the move. Foxxglow Perfume Oils are perfect for in my gym back, my handbag, living in my car, and man I cannot wait to travel! This baby would be perfect. The other thing I really like is I don’t have to worry about smelling them, for me, I know I love Black Opium by Yves Saint Laurent and Addict by Foxxglow is inspired by this scent. The inspired by scents make shopping very easy if it is for yourself, or even if it was a gift And if you want to have a smell, another fave thing! My fave lashes salon Sydney Lashes is a Foxxglow Stockist. But really what I like is Rebecca, the beauty behind Foxxglow. This kiwi babe started Foxxglow around the concept of supporting others, she is constantly working and pushing and I admire that. There is so much I love, but if you are looking at Cruelty-free fragrances which are super safe this would be a great start. If you would like 10% off and free shipping NZ wide just use the code HANNAH at checkout. It’s another reason I love Foxxglow, she gives back to Modern Girls!